This week, the French city of Lyon announced it would cancel its world-famous Christmas market after seven years, as costs to protect the market against potential terror threats escalated to € 20,000 — a price the city could not afford. 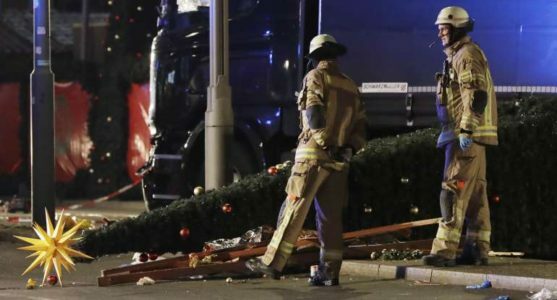 Security around Christmas markets in Europe has increased following Tunisian Islamic State (ISIS) terrorist Anis Amri’s truck attack in Berlin, Germany last year. Amri targeted the Breitscheidplatz Christmas market, murdering 12. “Unfortunately, this end of the year 2017 Place de la Croix-Rousse will not welcome its Christmas market and farm animals,” reported the French newspaper Le Progrès. “For a year, requests to secure our events have increased,” Maïlys, a project manager at the Lyon Côté Croix-Rousse merchants’ association, told Le Progrès. The cost of security would have reached nearly € 20,000. Last month, German police arrested six Syrian nationals suspected of having fought with ISIS — and allegedly connected with a terror plot against another Christmas market in Germany. They were later released. In March, police shut down a shopping mall in Essen after terror threats. At the end of October, police also detained a Syrian man who also suspected of preparing an explosives attack in Germany. Truck attacks have led to the erection of barricades and security in various cities across Europe. An ISIS supporter posted a threat against New York City’s Times Square last week. This followed the recent terror attack in the Big Apple, in which Uzbekistan native Sayfullo Habibullaevic Saipov killed 8 people and injured 15. ISIS has not quite cancelled Christmas in Lyon, however. Santa will be visiting the city on December 16, Le Progrès reported.